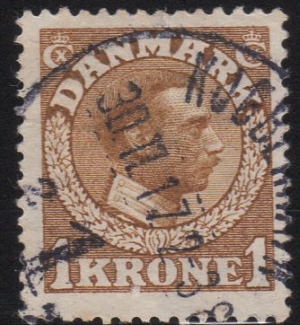 Denmark began issuing stamps in 1851 during the reign of King Frederick VII who was king from 1848 – 1863. However, it wasn’t until 1904, during the end of the reign of Christian IX that a monarch first appeared on the stamps of Denmark. 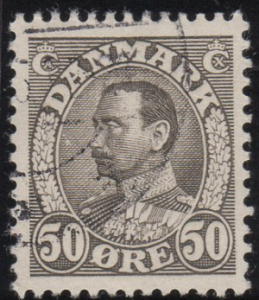 Why wasn’t Frederick VII on a stamp? – well, it is hard to say, but according to this discussion on Stampboards he did appear on an Essay that was never put into production (and then later, he finally appeared on a souv sheet in 1976 showing the Essay). The Danes like their numeral stamps I guess. Christian IX finally appears 2 years before he dies in the first series to feature a Monarch in 1904. Facit does list a number of varieties for each stamp in this series, including shades and inverted watermarks. There is a distinction between 2 types of these (listed separately in Scott) according to the image below. The easiest way to tell the difference is in the background and that Type II is missing a medallion on his chest. 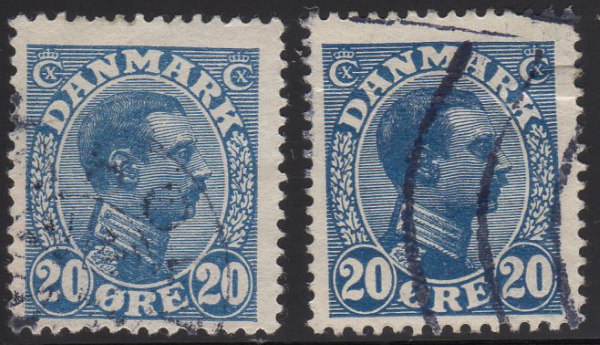 In 1907, a similar looking set of stamps with the new monarch Frederik VIII were produced. 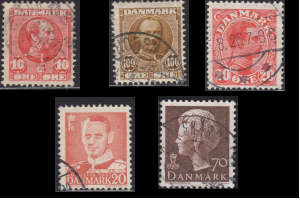 Facit has a few varieties listed including color shades and inverted watermarks, along with a number of high catalog value flaws. Here are few shades from my collection. 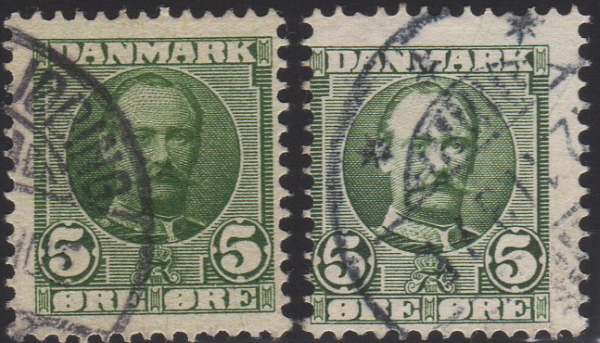 If you look closely at the left “5” in the 5o green you will notice a bit of extra white color on the left side compared to the right side. With Christian X and is 35 year rule, we get a number of different issues bearing his portrait. 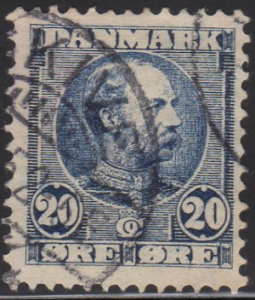 1913-1928 Series – Christian Facing Right. 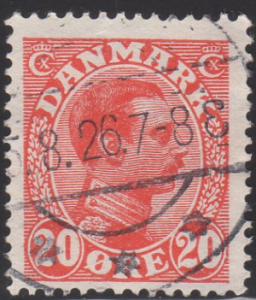 There are a number of varieties of this design listed in Facit, Scott and Michel as well as some varieties only listed in Facit. First the types. 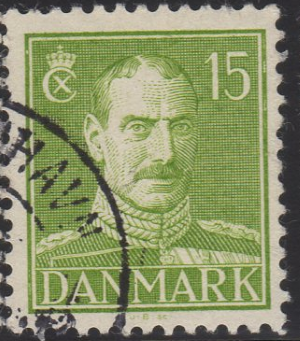 There are 3 types to this design which can be distinguished by looking at the background lines and looking at the lines on his uniform. 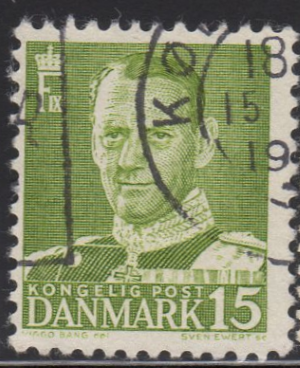 Type II : Square patterned or hatched background lines. Uniform lines are undivided. 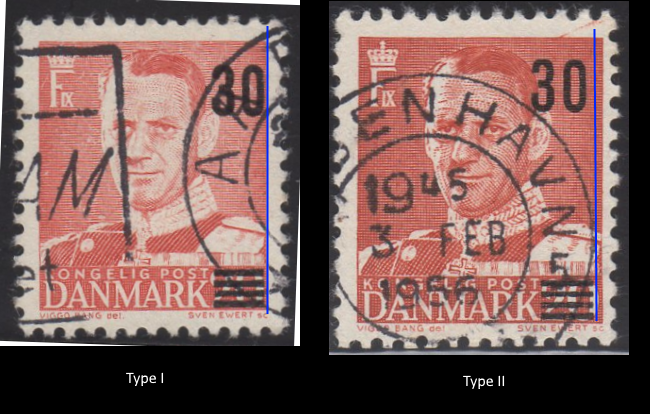 Type III : Same as Type II but with uniform lines in a divided line pattern. 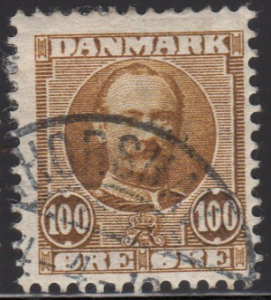 The 15o Green Exists Type II and II, 20o Brown Red exists Type I and III, 30o Orange Type II and III. 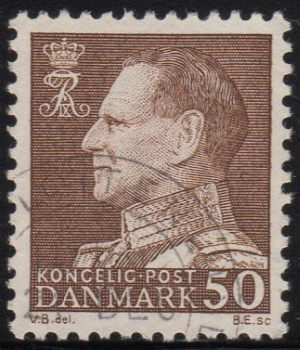 The second series ran from 1961 – 1967 with no interesting varieties that I am aware. 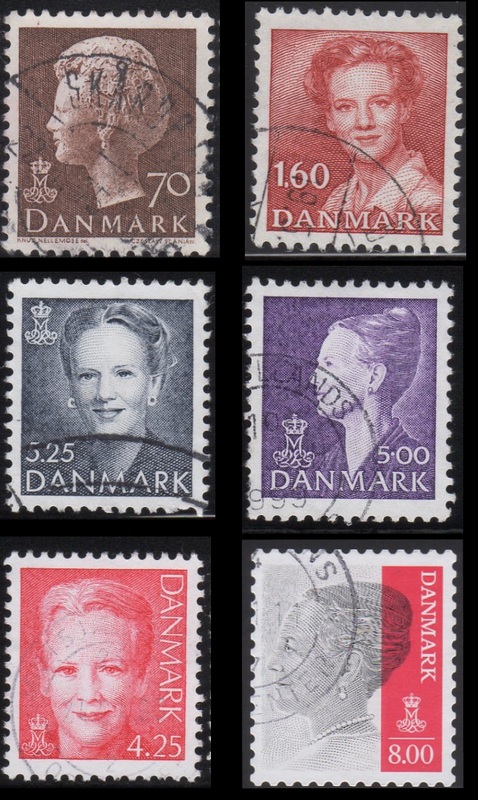 Finally, Margrethe II, who has so far appeared on 6 different series of stamps. She was quite a looker in her early years I might add. 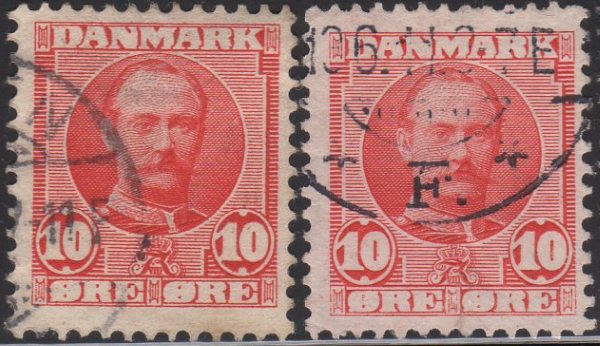 And that wraps up the series on Denmark Definitives. 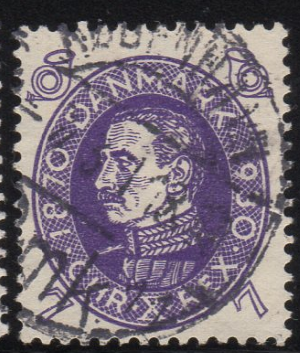 I have a lot of these stamps and many more. 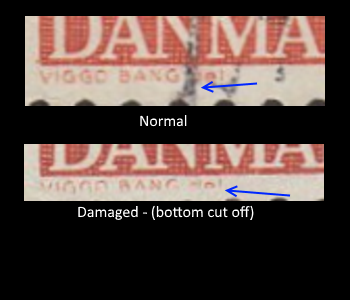 I am wondering if anyone could tell me the value.